d) have a cat sleeping by your side that wouldn’t take kindly to your getting out of bed, thank you very much. 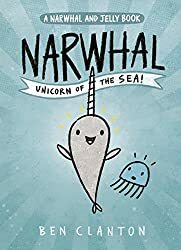 That’s Ben Clanton’s second book in the Narwhal and Jelly series: Super Narwhal and Jelly Jolt. 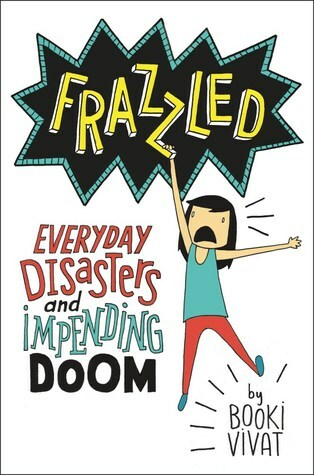 If you’re looking for a fantastically optimistic and fun book to share with young ones, in the vein of Mo Willems’ Elephant and Piggie series, you must, must, MUST read this. Sadly, I have to patiently wait for the powers that be to approve my request so that I can infuse my day with a dose of Narwhal cheer. But for the record, I’m such a fan that I *may* be taken as someone who is somewhat, mildly obsessed with the book. That’s me working to get the first book into the hands of young readers everywhere, and me dressing up as Narwhal for Halloween, and me succumbing to Narwhal and Jelly’s mentioned treat of choice in book #1 (a waffle maker is on the Christmas wish list now, thank you Mr. Clanton). Can you tell that I really, really like the book? The book is my kind of cookbook: simple and straightforward without a whole lot of storytelling, and the photos by Victoria Wall Harris are gorgeous. For starters, the table of contents utilizes plenty of white space (thank you, designers) and the book is split into 5 sections: dressings, raw food, small jars, big jars and sweet endings. A short introduction follows, and it covers the types of jars and other equipment needed (spinners, peelers, mandolin). After that are two pages of what I anticipate will be highly pinned images: page 9 showing how to layer the salads and page 11 with a list of the Dirty Dozen and Clean Fifteen. Then you have the recipes. Take for example, the breakdown of the Southeast Asian salad. The ingredients are spread out in front of you with a photo shot from above so you see everything needed at a glance. Turn the page and the salad is assembled, with notes at top on the health properties of the salad, and notes below on how to assemble: simply genius! With 68 recipes included, there’s no shortage of ways to prepare a delicious salad, and there’s even a section for those who are looking for a sweet treat following a salad. THIS gal will be studying up on the book for the upcoming vegetarian Thanksgiving (2 in the party that are vegetarian, but everybody skips on meat, another story for another day) and I’m hoping…perhaps there will be a follow up on noodle soups in a jar? I also downloaded The Pho Cookbook by Andrea Nguyen, and judging from the photos within (it’s a storytelling cookbook folks), the content looks detailed and intricate and amazingly delicious. The next series of books I downloaded come from First Second Press, a publisher that’s been growing in my estimation. I read about the Science Comics series via the Horn Book Guide and flipped through their recommended Coral Reefs title with a smile as I found it was beautifully drawn and informative. This morning, while browsing NetGalley, I found three more to add to the collection: Bats, Plagues, Flying Machines. Each page is intricately detailed, and the panels contain such great information that I can’t wait until they’re published to share them with students. This entry was posted in currently reading, library on November 20, 2016 by ying. The Wonderful World of Reading has come and gone which means there’s a few days to breathe before Thanksgiving. Many thanks to the hard work of the Book Fair Chairs who put in countless hours to ensure everything ran smoothly, and to the committee of dedicated volunteers. As ever, Tremendous Thanks go to the wonderful authors who always go above and beyond to make their visits special. 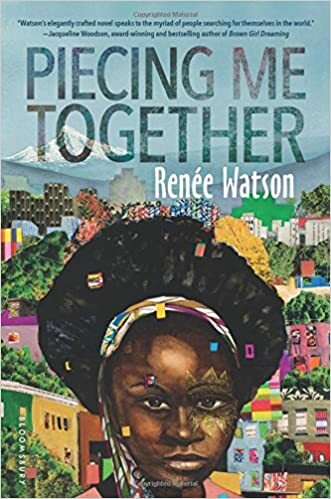 This entry was posted in author crushes, library on November 18, 2016 by ying. Not to be outdone by 2nd graders, today the 4th graders and I read through another riveting chapter of Shredderman (he’s on the roof!!!) and then we prepared for questions after I read the short blurb about Ms. Van Draanen on the back jacket flap. Perhaps the primary question was how to pronounce her last name, because you know, it’s hard to properly say hello to an author if you don’t know the right way to say their name. All told, we’re so looking forward to the visit! This entry was posted in author crushes, library on October 26, 2016 by ying. In preparation for David Shannon’s return visit to MJS this November, I had students practice their questions for him. It was a hectic Tuesday as we had a lockdown drill, and a group of 8th graders unattended for a good portion of the period, but the 2nd graders really rallied and came up with wonderful questions. We first re-read A Bad Case of Stripes, a book that can keep their attention no matter how many times they hear it. Then, we reviewed what a question is and is not, something I may need to work with K and 1st graders on as they’re at the age where they just like to share random facts about themselves. I had students partner up and brainstorm questions with a classmate and alternated taking videos of students asking their questions either by themselves or part of a group. Here are the questions they came up with! This entry was posted in library on October 23, 2016 by ying. 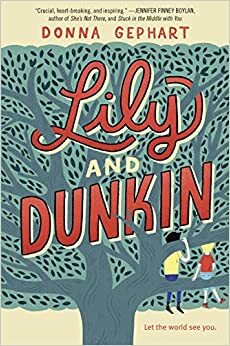 I’m currently making my way through Lily and Dunkin by Donna Gephart which is a novel I want to deliberately take my time with. 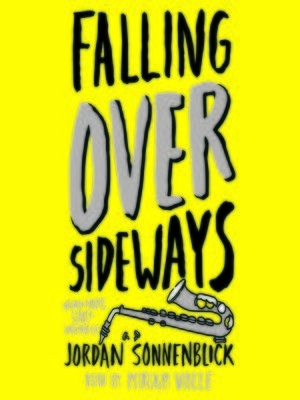 It tells the story of Timothy McGrother who wants more than anything to start eighth grade as Lily Jo McGrother. And then there’s Norbert Dorfman who has just moved from New Jersey and is dealing with bipolar disorder and a hidden secret, something to do with his father and why he moved. Read a book about a character who doesn’t look like you or doesn’t live like you. I shared the challenge with students during our book talk on Monday, and am tackling 1 and 2 in the challenge above. So far, the book is tough. My heart aches for Lily Jo and I’m holding my breath as to what Norbert has done, both to fit in with the boys at school and with (or to?) his family. It’s not an easy book, but I didn’t expect it to be. Reading outside of my comfort zone opens my eyes to other perspectives that I would otherwise be blind to. I’m ever so grateful for authors and their bravery at tackling a topic, bringing it to light and showing others, yes, this is life. 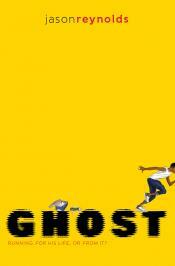 This entry was posted in author crushes, currently reading, library on September 21, 2016 by ying.